Warren has a secret. Two years ago his schoolgirl girlfriend Annabel went missing, and her family and friends fear she is dead. But Warren knows the truth. Having run away to be with him, she hides in his cupboard by day and spends her nights with him. But with the outside world closing in on them, Annabel can’t stay hidden forever and the truth will come out. 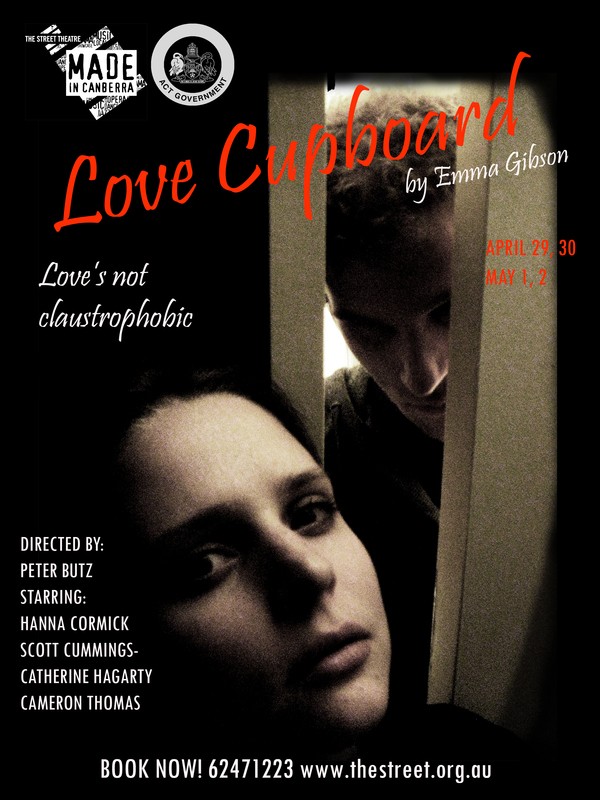 Part whimsical fantasy, part comedy and part drama and all love story, Love Cupboard explores the darkness and light we all hold within, and the conditions and abuses perpetrated in the name of love.